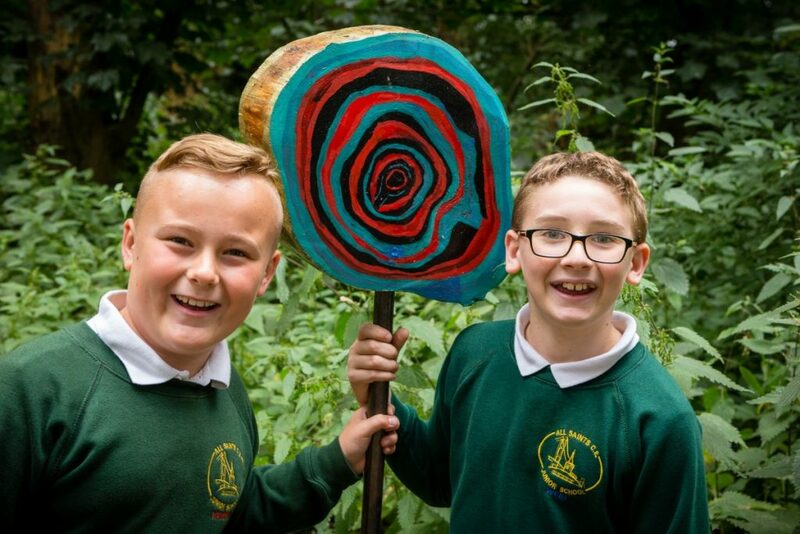 Pupils from two nearby schools have added to the growing collection of innovative artworks on a wildlife trail circling one of Yorkshire’s leading business parks. 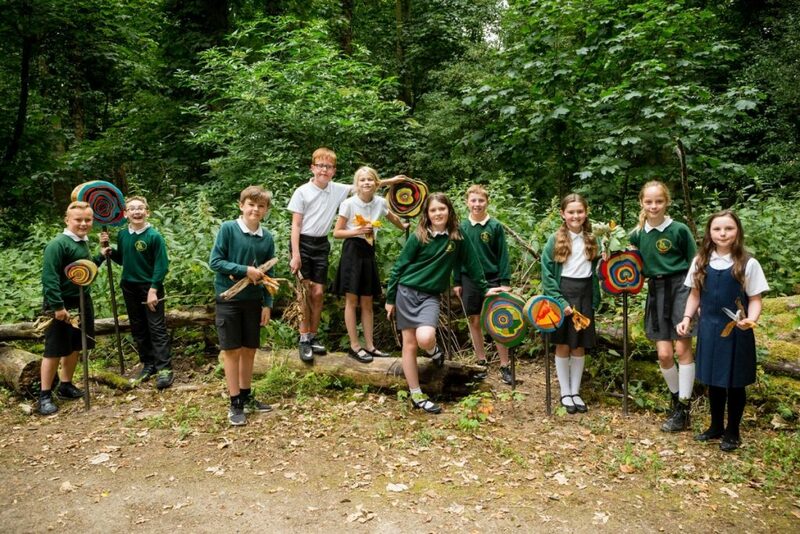 Pupils from All Saints Junior and Hessle High Schools have unveiled their latest art installations forming part of the delightful nature trail at the 50-acre Bridgehead development at Hessle, East Yorkshire. The art installations add to the appeal of the 1km woodland trail circling the site, which is one of the UK’s greenest and most sustainable business parks and home to over 8,000 shrubs and hedgerows, 4,500 herbs and bulbs and more than 200 trees. With help from up-and-coming artist Louis Dorton, an arts project run over several months saw All Saints pupils make a set of spiral-inspired seating and a colourful spiral “mini-forest”, while Hessle High engineering students created woodpecker sculptures for the trees. All Saints’ pupils unveiled their latest artworks forming part of the delightful nature trail at the 50-acre Bridgehead development at Hessle. The wildlife trail was planned and delivered by Hull-based regeneration company Wykeland Group, developer of Bridgehead, working with the Yorkshire Wildlife Trust which manages the woodland pathway on behalf of Wykeland and preserves the existing habitat to encourage further wildlife and maintain flora and fauna. The arts activities are supported by Wykeland as part of an extensive and ongoing commitment by the company to involve the community and invest in the futures of local school pupils. John Gouldthorp, Wykeland’s Asset Manager, said: “The latest artworks are a wonderful addition to the woodland trail at Bridgehead. “People who come for walks on the trail will really enjoy seeing the nature-inspired work created by the pupils from All Saints Junior and Hessle High. Elaine Burke, Wykeland’s Community Engagement Consultant who managed the project, said: “We are so proud of Bridgehead arts trail, which is now in its fifth year. “Our latest collection includes wonderful woodpecker sculptures – made by Hessle High School engineering pupils, led by young visual artist Louis Dorton. Children from All Saints CE Junior School also worked with Louis to create a stunning, colourful mini-forest and tremendous tree-stump seats. 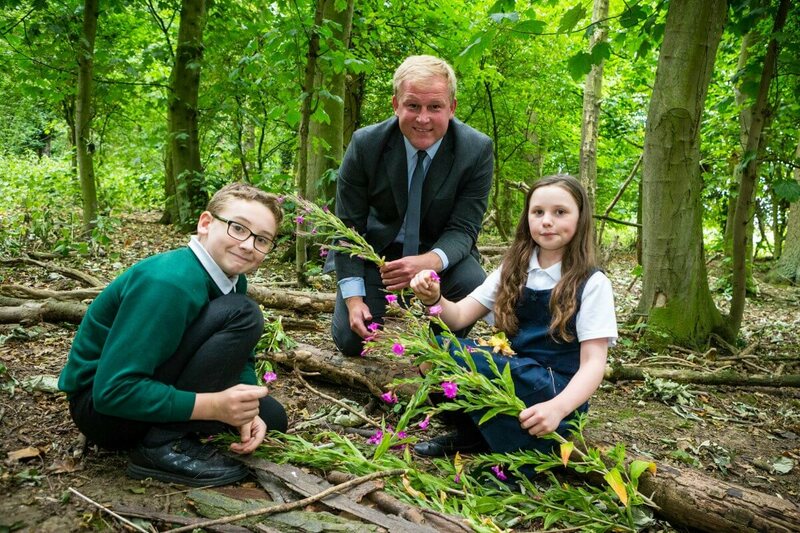 All Saints’ pupils showcase some of the colourful spiral “mini-forest” art installations on the 1km woodland trail. Previous projects at Bridgehead include woven willow dens; quirky bird feeders; bird boxes with wings; a colourful insect hotel; and a giant dead-hedge nest sculpture with mosaic eggs. More than 800 people now work at Bridgehead and ultimately, between 2,000 and 3,000 will be employed at the business park. The woodland trail is well used by workers and by visitors to the site, offering a scenic escape from the office or a convenient route for a spot of exercise during breaks.